In today's edition of the "Good Stuff," a high school basketball star is back on the court thanks to a big assist from his friends. CNN's Chris Cuomo reports. Tim Monette,17, has a rare form of cancer. Treatment kept him off the court and out of school. Then, great news– Tim's doctor cleared him to play again! Great, right? Wrong! The school said Tim couldn't play because he missed too many school days fighting his cancer. It was "policy," the school said. The reaction since then has been amazing. His teammates shaved their heads in support and some 200 students staged a sit-in to protest the move. There's also been a huge social media campaign with the hashtag #LetTimPlay." All of the effort worked. Finally, the school went back on its decision, and Tim is back on the court where he belongs. See the full story at affiliate WNYT and if you have #GoodStuff news, let us know! Leave a comment, post on Facebook, or tweet to @ChrisCuomo & @NewDay using #NewDay and submit your story on iReport. The NFL is Really Considered a Non-Profit? The NFL is gearing up for the Super Bowl this Sunday and the league is projected to make a record profit. That's bringing to light a little-known secret. The NFL league office is considered, by the IRS, a non-profit organization. That's right, the league office falls under a tax code that exempts things like business leagues and trade associations. But does that make sense? Two senators don't think so, and they've proposed a bill to change it. Independent Main Senator Angus King and Republican Senator from Oklahoma, Tom Coburn, have crafted a bill to end the NFL's $9 billion-per-year tax-exempt status. On "New Day" Thursday Sen. Coburn said: “This is a directed tax cut that to the league office, which means every other American pays a little bit more every year because we give the NFL league office a tax break and call them a non-profit. In fact, they’re not." It doesn't help the NFL's cause that its commissioner makes $29 million a year. We've been telling you about people trapped in their cars for hours in Atlanta because of the recent storm, but hours was more like an entire day for some. Kawanna Anthony is one of those people. 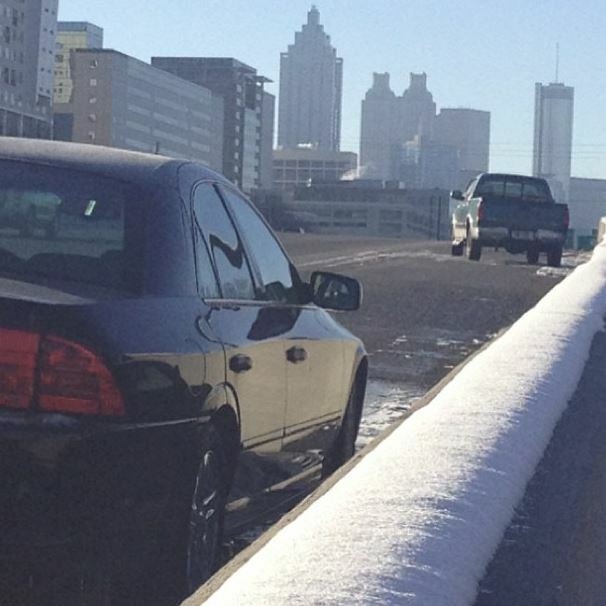 She was stuck on interstate 285 for eighteen hours with her six-month-old baby Michaela. The pair had no food or water and only one diaper to make it through the night. Kawanna, speaking with "New Day's" Chris Cuomo, Thursday, said "I didn't see anybody for whole entire night. With two and a half bottles of milk, it was nerve wracking."